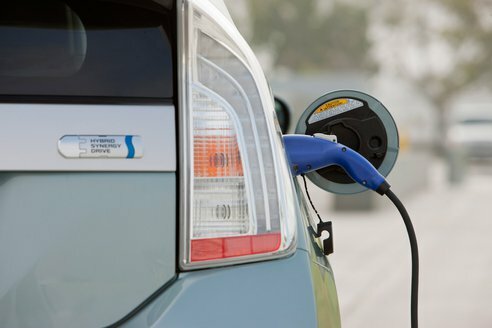 Americans are buying record numbers of hybrid and electric cars as gas prices climb and new models arrive in showrooms, giving the vehicles their greatest share yet of the U.S. auto market. Consumers bought a record 52,000 gas-electric hybrids and all-electric cars in March, up from 34,000 during the same month last year. The two categories combined made up 3.64 percent of total U.S. sales, their highest monthly market share ever, according to Ward's AutoInfoBank. The previous high was 3.56 percent in July 2009, when the Cash for Clunkers program encouraged people to trade in old gas guzzlers for more fuel-efficient cars. And while their share of the market remains small, it's a big leap from the start of the year, when hybrids and electrics made up 2.38 percent of new car sales.